Nny and Squee montage >.<. 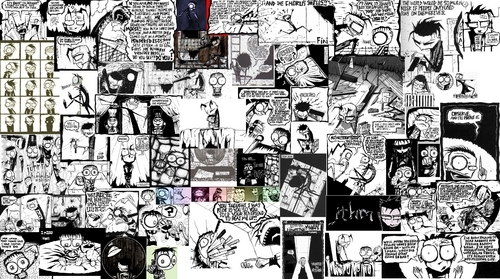 If আপনি cant stop thinking about JTHM অথবা Squee, this is ideal for wallpaper...(its my দেওয়ালপত্র too!!!). HD Wallpaper and background images in the Johnny the Homicidal Maniac club. YES!!!!!!!! I JUST LOVE THAT SONG XD!!!!!!! *Plugs ears* OPK GO FOR IT!